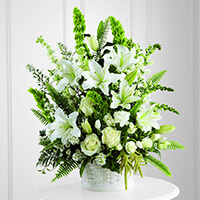 Provide comfort for the family of Thomas Penney with a meaningful gesture of sympathy. Thomas Gerald “Buddy” Penney, 88, of Waco passed away peacefully surrounded by family on December 13, 2018. A service celebrating his life will be at 10:00 am Friday, December 21 at OakCrest Funeral Home. Burial will follow at Waco Memorial Park. Visitation will be Thursday, December 20 from 6 to 8 pm at the funeral home. Buddy was born to Pat and Lona Pierce Penney on July 23, 1930 in Lockesburg, Arkansas. His family moved to Bynum, TX while he was a young boy. 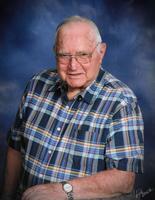 After graduating from Bynum High School in 1949, Buddy served 4 years (1951-1954) in the Air Force. Buddy married Linda Lou Yates on March 22, 1955. They had a 54 year full and rich marriage until Linda’s death in 2010. Buddy was a loving father to four children: Jerry Penney (deceased), Tammie Andrews, Misty Gauer and husband, Clark, and Shannon Penney and wife, Natalie. He has 10 treasured grandchildren: Lee and Ben Penney; Katrina and Trevor Andrews; Andy, Caleb, and Corrie Gauer; and Hannah, Ella and John Penney and 4 super great-grandchildren: Aveah, Donovan, Kolby and Noe. Buddy had a very strong and quiet soul. The Penney’s were members of Speegleville Baptist Church. He retired in 1995 from General Tire and Rubber Company after 41 years. Buddy enjoyed working in his wood shop, following his beloved Texas Rangers, and making banana pudding. He could virtually make and/or repair anything. 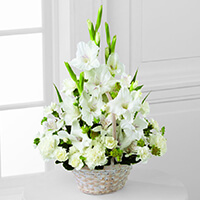 To send flowers in memory of Thomas Gerald "Buddy" Penney, please visit our Heartfelt Sympathies Store. Bryan, Kimbo, AD, Jack, and Becks and Scott, Jenny, & Jack Clutter have sent flowers to the family of Thomas Gerald "Buddy" Penney. Bryan, Kimbo, AD, Jack, and Becks purchased the The FTD In Our Thoughts Arrangement for the family of Thomas Penney. Scott, Jenny, & Jack Clutter purchased the The FTD Eternal Affection Arrangement for the family of Thomas Penney. My condolences to the Penney family during this difficult time. In the Bible, Jehovah God gives us hope. Acts 24:15 says, “there is going to be a resurrection of both the righteous and the unrighteous.” Revelation 21:4 says, “and he will wipe out every tear from their eyes and death will be no more.” Very soon we will see the fulfillment of these promises here on Earth.